The Council is made up of 64 locally elected Councillors who represent 42 divisions of Neath and Port Talbot. They make decisions on how the Council is run and how to improve local services on behalf of local people. The way in which Councillors make decisions is informed by the ideas of the political parties they represent. Neath Port Talbot is a Labour led Council. The Leader of the Council Councillor Rob Jones is elected by the Council and leads the Cabinet. 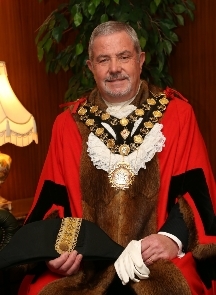 To find out more information about the Mayor of Neath Port Talbot, visit www.npt.gov.uk/mayor. Gareth Nutt, Director of Environment. Aled Evans, Director of Education. Andrew Jarrett, Director of Social Services, Health and Housing. Hywel Jenkins, Director of Finance and Corporate Services.